General Disclaimer. Website contains facts, views, opinions, statements, recommendations, advertisements, promotions and other content and links to external websites not owned or controlled by Website or its parent company, The Old Schoolhouse Magazine, LLC (“Company”) (collectively, “Website Content”). Company and Website make no warranties or representations as to the accuracy, safety or value of Website Content created, published, displayed, uploaded, downloaded or distributed in, on or through Website or other Company publications, including without limitation other websites owned by Company, and assume no liability or responsibility for errors or omissions in Website Content. Website and Company accept no responsibility for the actions of any User or third party or for Website Content created, provided, uploaded, linked or posted by any User or third party. Website Content does not necessarily reflect the views, opinions or recommendations of Company or Website and any reliance upon Website Content is taken at User’s sole risk. Description of Service. Website provides User with various publishing, information and community services. Website will post notices describing all relevant fees, terms, conditions and requirements. User is personally responsible for obtaining, providing and maintaining (a) access to the Internet, including without limitation payment of telephone, cable or other connection and service fees associated with Internet access and (b) all equipment required to access and use Website and the Internet, including without limitation access to a computer and modem. Company and Website accept no responsibility or liability for the ability or inability of any User to access Website. Company and Website do not control Website Content and accept no responsibility for the actions of Users or third parties or for Website Content provided, uploaded, linked or posted by Users or third parties. Personal Use Only. Website and related services are made available to User for personal, non-commercial use only. User may may not edit, alter, overwrite, block or delete Website Content. User may not frame or otherwise alter the appearance or functionality of Website. User may not use Website, Website Content or Material created, provided, uploaded, linked or posted by User to Website to sell or advertise a product or service, including without limitation other Internet websites or businesses, without the advance written consent of Company and Website. Company and Website reserve the sole, exclusive and discretionary right to determine what constitutes “selling” and “advertising” on Website and to grant or deny any person or entity the right to sell or advertise a product or service on Website. User may not take, appropriate, publish, reproduce, or use all or any part of Website, with the exception of Material originally created and owned exclusively by User, for any purpose without the advance written consent of Company, Website or the legal owner of the relevant Website Content or Material. 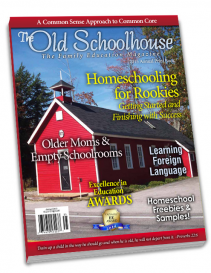 Users interested in advertising a product, service, business or website on Website should contact the site administrator via e-mail at gena@thehomeschoolmagazine.com. Modifications of Service. 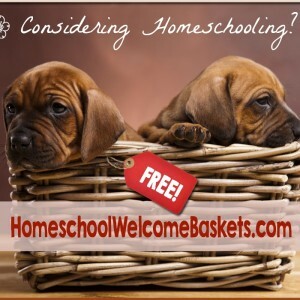 Company and Website reserve the sole and exclusive right to change, suspend or terminate www.SchoolhouseConnect.com and all related websites and services at any time and from time to time with or without cause or prior notice. Company and Website are not liable to User or any third party for any change to, suspension or termination of Website or related websites and services. User Suggestions. Company and Website do not accept or consider unsolicited ideas, suggestions or proposals relating to the operations, organization, publications or other property of Company and Website (collectively “Ideas”). User understands and agrees that (a) any Idea sent to Company or Website, posted on any portion of Website or included in Website Content will be considered non-proprietary, non-confidential and fully released for use by Company and Website, (b) Company and Website have no obligation or liability to User or any third party relating to or arising out of the use, nonuse, disclosure, publication or receipt of any Idea and (c) Company and Website may use Ideas for any purpose, including without limitation commercial uses, free of charge and without liability, restriction or compensation to the submitting User. Acceptance of Risk. Material and Website Content downloaded, obtained or accessed from or through the use of Website is downloaded, obtained and accessed at the sole discretion, risk and responsibility of User. User agrees to accept sole responsibility and liability for any damage to User’s computer, hardware, operating system, software, network, server and Internet service, including without limitation destruction, loss or corruption of data files, resulting from using, downloading, obtaining or accessing Website and Website Content. Company and Website Rights to Delete or Terminate. Company and Website reserve the absolute, discretionary right to terminate, delete, modify or restrict access to any and all Website Content at any time with or without cause or prior notice. User agrees to the terms of this Paragraph 22 without reservation. User understands and agrees that the right of Company and Website to terminate, delete, modify and restrict access to Website Content and to terminate Website and related services at any time, with or without cause or prior notice is a vital, non-negotiable part of these Terms of Service. LIMITATION OF LIABILITY. COMPANY AND WEBSITE DISCLAIM ANY AND ALL RESPONSIBILITY AND LIABILITY FOR THE ACCURACY, INACCURACY, LEGALITY, RELIABILITY, OPERABILITY, FUNCTIONALITY, AVAILABILITY AND CONTENT OF ANY AND ALL WEBSITE CONTENT. COMPANY AND WEBSITE DISCLAIM ANY AND ALL RESPONSIBILITY AND LIABILITY FOR DAMAGES ARISING OUT OF, RESULTING FROM OR RELATING TO USER OR ANY THIRD PARTY CREATING, PUBLISHING, DISPLAYING, UPLOADING, DOWNLOADING, DISTRIBUTING, ACCESSING OR USING ANY AND ALL WEBSITE CONTENT. COMPANY AND WEBSITE DISCLAIM ANY AND ALL RESPONSIBILITY AND LIABILITY FOR ERRORS, OMISSIONS, SUSPENSION, DELETION, MISDELIVERY OR UNAVAILABILITY OF WEBSITE AND WEBSITE CONTENT. COMPANY AND WEBSITE WILL NOT BE RESPONSIBLE OR LIABLE FOR ANY DAMAGES, INCLUDING WITHOUT LIMITATION ACTUAL, DIRECT, INDIRECT, INCIDENTAL, SPECIAL AND CONSEQUENTIAL DAMAGES, CAUSED BY, RESULTING FROM OR ARISING OUT OF (A) USE, MISUSE OR LACK OF USE OF WEBSITE OR ANY WEBSITE CONTENT, (B) MATERIAL, INFORMATION, ADVICE, GOODS OR SERVICES PURCHASED OR OBTAINED THROUGH OR AS A RESULT OF WEBSITE OR ANY WEBSITE CONTENT, (C) MESSAGES SENT, RECEIVED, INTERRUPTED OR DELETED, TRANSACTIONS ENTERED INTO AND ANY OTHER ACTION TAKEN OR NOT TAKEN AS A RESULT OF UNAUTHORIZED ACCESS TO WEBSITE OR A PERSONAL ACCOUNT REGISTERED TO, BY OR ON BEHALF OF ANY USER, (D) STATEMENTS, ACTIONS, MATERIAL AND WEBSITE CONTENT CREATED, PROVIDED , UPLOADED , DOWNLOADED, LINKED OR POSTED BY USERS OR THIRD PARTIES OR (E) ANY OTHER CAUSE, EFFECT, ACTION, CONSEQUENCE OR DAMAGE NOT DIRECTLY CAUSED BY OR RESULTING FROM THE GROSS NEGLIGENCE OR WILLFUL MISCONDUCT OF COMPANY OR THE ADMINSTRATORS OF WEBSITE. EXCLUSIONS AND DISCLAIMERS CONTAINED IN THIS LIMITATION OF LIABILITY DO NOT APPLY TO THE EXTENT PROHIBITED BY APPLICABLE LAW. THE RIGHTS OF USERS MAY VARY BY JURISDICTION.